At what point in the year does the racing season start? For many members of the 750 Motor Club it has long been the annual pre-season trackday, held by the Club in recent years at Donington Park. We are pleased to announce that the 2016 event is now confirmed as Sunday February 28th, giving a useful completion date to aim for - and write on your garage wall next to a part-built car. Places are now available to book directly on the 750MC website at the link here, as well as garages for an additional £30. The day will be run in sessions to keep groups of similar paced cars together, and will include four sessions of 35 minutes each for just £175. The event is not however just for regular Club members to prepare for the start of the new season; it is also an ideal and relaxed environment for newcomers to come along and see how it all works. There will be plenty of help and advice on hand from formula representatives and 750MC staff members, as well as drivers from various series and championships away from the pressures and time constraints of a race weekend. 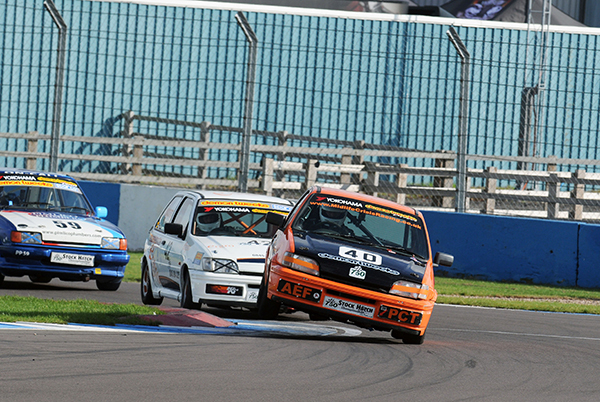 What's more, there's even the option to take your ARDS test on Sunday February 28th instead of the normal track sessions, and places can also be secured in the 750 Motor Club online shop. It's always a popular day and places are limited for both the trackday and ARDS, so don't delay your booking. Please note there will be a 98dB drive-by noise limit in place.